In 2013 Frank Cini represented Canada for HCF at Carrousel du Louvre in Paris with a presentation for 2500 attendees from 45 counties around the world. Frank has worked on the set of music videos, designed ad campaigns for L’Oréal Professionnel. His hair artistry has splashed the front covers of Salon Magazine, featured in spreads of Elle Canada, Flare, Chatelaine and Toronto Life. 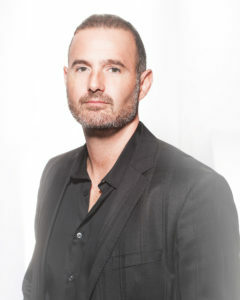 Frank’s accolades include awards for 2006 Canadian Hairdresser of the Year, 2007 Editorial Hair Stylist of the Year, and most recently 2009 Long Hairdresser of the Year, just to name a few. Cini is a Regular guest on the Global Morning Show and has appeared on Breakfast Television/City TV, Global News/Global Television, The Beauty Guide/Women’s Television Network, Rogers Television and Images TV/Life Network. He is a member of the elite Ambassador Committee for L’Oréal Professionnel; traveling seasonally across the globe creating cut and colour trends for the company’s latest collections. Frank carries with him a commitment to excellence in leading the Taz team, as well as being the best possible mentor for his children. Having become a 4th generation hair stylist, it’s no surprise that this man’s family crest ought to be a pair of shears.